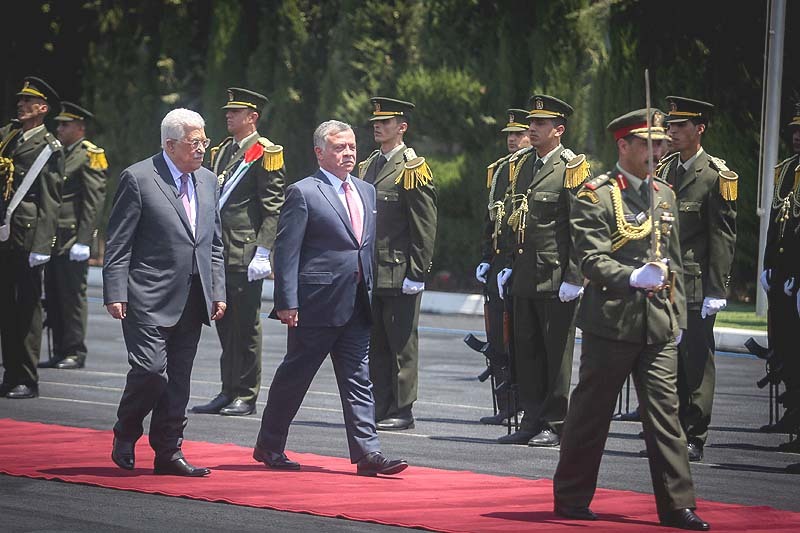 Arab regimes are today demonstrating more flexibility on normalization with Israel, in particular in the Gulf region, says Abd Al-Hamid Al-Ansari, one of the most outspoken liberal voices in the Arab world. “We in the [Persian] Gulf states enjoy innovation thanks to our vast funds. You are inventive. We have not yet succeeded in sowing the seeds of innovation, which are democracy, liberalism and freedom, here,” Abd Al-Hamid Al-Ansari, one of the most outspoken liberal voices in the Arab world, says in an interview with Israel Hayom in Doha, Qatar. In the past, Al-Ansari served as the dean of Islamic Law at Qatar University, where he had no qualms about sharply criticizing the use of terrorism and violence in the name of Islam. Today, Al-Ansari writes opinion pieces and books about the state of the Arab world and the Middle East. Israel Hayom meets Al-Ansari in the heart of Doha, the Qatari capital, which is bustling with preparations ahead of the 2022 FIFA World Cup soccer tournament the city is set to host, in what will be a first for an Arab state. The decision to allow Qatar to host the World Cup sparked controversy when it was announced. Human rights groups protested the honor being given to Qatar at the same time when hundreds of thousands of foreign workers in the country are being taken advantage of and treated like modern-day slaves. For the past year and a half, Saudi Arabia and its allies have imposed a land, sea and air blockade on Qatar over its ties with Iran and open support for opposition forces in various Arab countries and terrorist organizations. Nevertheless, construction on eight stadiums in preparation of the games is almost complete. Q: Has the Arab world learned the lessons of the dramatic results of the Arab Spring? “This was a popular protest movement, the reasons of which were many. The disappointment of the masses was the principal reason for the Arab Spring. The leaders of the officers’ revolution in Egypt promised the masses freedom, unity, the liberation of Palestine, a just society. None of these things has been realized over 50 years. But the most important reason was the issue of human dignity. The revolutionaries who came to power wiped out the opposition; their opponents were tortured in prisons. Arab human dignity has been violated in all the important Arab countries. That is the spark that lit the fuse of prowwww. According to Al-Ansari, “The police, for their part, learned a lesson to a certain extent. In Saudi Arabia, large and significant political, social and religious changes have taken place. In the Gulf states, there are the beginnings of political, social and economic openness. One can see much more temperance as far as concerns freedom of speech. In Qatar, freedom of speech is made possible through open social media networks. In Al-Ansari’s opinion, there is one more important matter to note, and that is that throughout this difficult period, in a majority of Sunni Arab countries, there were no expressions of hostility toward the Jews outside of the most radical streams – the Salafists or the Houthis in Yemen. Q: Meaning a state with a military? Of course, Al-Ansari notes that “Iran also plays a part in this development: The Arabs realized that Iran, as a result of its actions in the Arab world, constitutes a threat. Iran now controls four Arab capitals – Baghdad, Damascus, Beirut and Sana’a. Today the Arabs understand the slogan of resistance to Israel was used by the Iranians to act against them [the Arabs]. Q: What do you think about U.S foreign policy under President Donald Trump? Q: And what do you think will happen with Trump’s so-called “deal of the century” and Iran? Al-Ansari believes that despite U.S. sanctions on Tehran, “the Iranian regime is not in danger. I don’t think there will be a revolution, but there may be changes to the regime. Iran will be obliged to change its foreign policy and stop the transfer of funds to agents in other countries. They will also have less money [to invest] in the arms race and the nuclear programs if they want to remain in power. “On April 9, the bots will head to the polling places in droves,” Prime Minister Benjamin Netanyahu predicts four days before the election. It looks as if the fake social media profile scandal that the media threw at Likud landed at the perfect time. Right when the campaign Netanyahu was leading was losing adrenalin, the New York Times and Yedioth Ahronoth popped up and once again made it clear to right-wing voters that the desire to a different prime minister – at any cost – was equally prevalent in both countries. “Their condescension toward the Likud is seen in the bot story,” Netanyahu tells Israel Hayom in a special interview. Netanyahu is worried, maybe even stressed. A description he likes for his enemies. 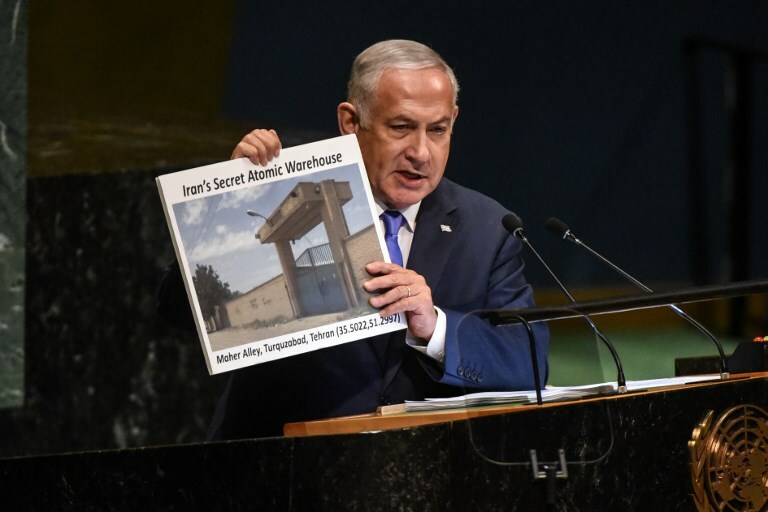 One night last week, Netanyahu was sitting with his campaign advisors, including expert pollsters, and after an in-depth review of the polls, they concluded that the problem on the Right – particularly the Likud – was insouciance. “Anyone who cares what people think about him isn’t someone anyone is thinking about,” Netanyahu says, pounding on the table to drive home his philosophy about his political and diplomatic path, and equally so what he thinks of the path taken by journalists and pundits. “If I cared about what they think of me, I wouldn’t be here a minute. A minute! Not in politics, not in business, not in journalism. If you’re a slave to what they think about you, they’ll think about you how you think of yourself. “We’re very close to losing the battle. We found a factor we hadn’t noticed until last night. That factor is that what we have here is opposite of 2015,” Netanyahu says. “Whereas in 2015 the Left was complacent and the Right was enlisting to vote, today the opposite is happening. The Right is complacent and the Left is enlisting to vote. When polls ask how many people intend to vote, the Left gets 100%. Not 99.2% – 100%. Everyone is going to vote. And on the Right, we’re seeing notable lower percentages than that. The difference in percentages is equivalent to about five seats,” he warns. About 80% of right-wing voters are saying they are motivated to vote, and that could cost the Right another two seats. “With gaps like these, there’s a possibility we could lose the bloc, and the gap between us and Lapid-Gantz could increase by five more seats,” he says. Netanyahu came into this election campaign at a disadvantage, like a soccer team that is penalized five points just before the start of the season. The Bibi team has been playing all season like it has been not only been given a red card, but also like the stands are packed with hostile spectators. The bot affair brought the whole issue of social media up for discussion. For Netanyahu and the Likud, just how important is social media? “It’s the only electronic tool we have,” he says. Netanyahu continues: “When it comes to the other branch of radical Islam, in Gaza, we’ve deterred Hamas. We shut down its main supply corridors. We’ve struck Hamas in a way the public doesn’t understand. More than 300 Palestinians have been killed near the border when they tried to breach the fence and abduct our soldiers. We have used force wisely, and powerfully. You saw this deterrence on the one-year anniversary of the ‘March of return’ – a lot less than million came, and there were thousands of [Hamas] monitors. It’s a sign of deterrence. Before I opt for a ground incursion, I’ll exhaust every other possibility,” Netanyahu says. Q: Do you prefer intermittent rockets to funerals? Q: No one is talking about occupation but rather an invasion that would rip out the Hamas infrastructure. Q: In this election, you’re running against three former IDF chiefs of staff. Did any of them demonstrate creativity when it came to Gaza? “95% of the problems come from Iran. They supported an absurd nuclear deal. Their policy is destructive to Israel. Gantz, as well as Ashkenazi, opposed the security fence in the south and funding for it. Without that, Israel wouldn’t exist anymore. We can talk about a Jewish, democratic state until the cows come home, but it would already have been flooded by a million illegal migrants from Africa. “Their disastrous policy also includes uprooting 100,000 settlers. So what determines security isn’t the chiefs of staff, but the policies of politicians. These chiefs of staff had a policy that was wrong. If they become politicians, we’re sunk. They have almost no understanding, I would say less than zero, of these issues. The best proof of that is support for the Iran nuclear deal. Gantz said, ‘It’s all right, it has positive aspects. The Iranians are rational.’ Lapid said I was destroying relations with the U.S., that it was a mistake to speak to Congress. Sadly, a big part of the Israeli defense establishment supported it. Q: It appears that the current IDF chief of staff [Lt. Gen. Aviv Kochavi] wants to cancel the shortened service to make the IDF stronger and more massive. Do you support canceling shortened service? “The opposite. Tax cuts. Lowering taxes leads to more growth. Over time, I’ve led a major change in the Israeli economy. I’ve passed 60 reforms. But the most important, the decisive one, is freeing the currency, allowing people to deposit and withdraw dollars whenever they want. Imagine that Israel had kept up that third-world currency regime. There is also the issue of licensing for small businesses, which is the engine for growth in Israel. We dropped the time it takes to issue a business license from six months to 20 days. Preventing needless regulation. Do you want regulation? Show me the economic effects it will have. Q: So how did you work with him? Q: Everyone is asking: Who are your picks for finance minister and defense minister? “That is of no interest. I’m not dividing up the spoils, because of now, they’re going to them [the Left] if the Right doesn’t get its act together. If Likud voters don’t wake up, we’ll lose the election. The Likud/right-wing voters don’t realize that not only isn’t the election in our pocket, right now it’s actually in theirs [the Left]. Because they are fighting tooth and nail. Our people are sitting around, sanguine. If they don’t realize that they have to go and vote, all our achievements will be lost,” Netanyahu says. Q: You would prefer a right-wing government? Q: Can anyone from the right-wing bloc sit in a government under Gantz? Q: How do you categorize Zehut leader Moshe Feiglin? Q: What about Trump? Is that chemistry between the American president and the prime minister of Israel, or with you personally? Q: On the ‘deal of the century,’ are you coordinated with him? Q: If you are promised international recognition of united Jerusalem, especially the Old City, would you be prepared to give up large parts of Judea and Samaria in exchange? Q: With the Palestinians, but you’re not annexing Area C.
Q: The election ads show a scene in which Labor leader Avi Gabbay’s main message is that he will raise the minimum wage to 7,000 shekels ($1,950) a month. “First of all, we’re the ones who raise the minimum wage. It was 4,000 shekels. We did it in a smart way, by raising the GDP and the average national wage, so gaps wouldn’t show up too quickly. Everyone knows only part of it. They are reaping the benefits, I call it. We are the ones who raise the economic tree, water it, prune it so the sun can get in, and they only know how to pick its fruit. If all you do is pick and pick, you won’t have any fruit left. The tree will wither. Q: Some claim that the state is in good shape, and the citizens are less so. “That’s simply not true. There is room for improvement. There are problems. We need to break down monopolies that have existed since the days of [socialist] Mapai. Inequality has dropped since we created a situation in which people go to work. People used to stay home. Bedouin, with stipends for their children, never needed to work. The big changes that made Israel leap ahead, which turned it into a national economy, were made under me, both as finance minister and prime minister. Q: You say that Gantz can’t be prime minister. But how can you? You could be a prime minister who has to split his time between office and the courtroom. Q: Can you be with Putin one day, and questioned the next? And forget everything while you’re working? Q: One of your staff said that although you gained the Golan Heights, you should have toppled Syrian President Bashar Assad and split Syria into four states. Q: Moshe Ya’alon, Yoaz Hendel, and Zvi Hauser are all in Blue and White. Where did you go wrong? “Ask them. Bogie [Ya’alon] told me he never opposed Oslo. That he had never been right-wing. Now he tells us. The others, let them be accountable to themselves. How can they support Gantz and Lapid, whose policies are 180 degrees from the policies they believe in? Q: In July, you will have been in office longer than David Ben-Gurion. But you are criticized for not having deputies. You have no successors lined up. Do you see anyone who can come after you? Q: Kingly is better than fascist. Q: Do you think they still haven’t forgiven you for beating Shimon Peres in 1996? “There are plenty of people, in the Likud too, who went all soft before the Left. They changed their opinions. I believe in my path, which I was taught by my father, and which I also learned from my brother – that we must strengthen our power. That goes completely against the views of the Left. The idea that we can achieve peace by giving into the Palestinians and then the Arab world will open up – I took the opposite direction. I broke into the world, and from there into the Arab world. Later on, that could affect our immediate surroundings. That’s a different approach. “They have been attacking me tirelessly for 20 years because I refuse to bow down. Now, more than ever, because it’s been proved that this approach is successful. Therefore, they are forced to disguise themselves as right-wingers. They hope that through this dupe, through their attacks and blood libels, they can bring me and the right-wing government down. Then they’ll retreat. If I wanted to, I could buy quiet and embrace the media. I would reach out to the Left. I’ve never done it, and I never will. Q: When you are told you’re a criminal and a traitor, does that make you bleed? Do you want the treatment President Rivlin gets? Q: Are we at the end of an era, like in Stefan Zweig’s book “The World of Yesterday”? Where do we go from here? Q: A week ago, Captain Michel Bacos, who flew the Air France flight that was hijacked to Entebbe, died. From Netanyahu to Netanyahu, has everything been preserved since then? “I don’t know. I’m not looking for fame and glory. I’m looking to do what is right to ensure Israel’s security and that Israel stays eternal. My brother fell in battle with the Entebbe terrorists. I was wounded rescuing the Sabena hijack victims. But that doesn’t prevent Israel from doing great, wonderful things. 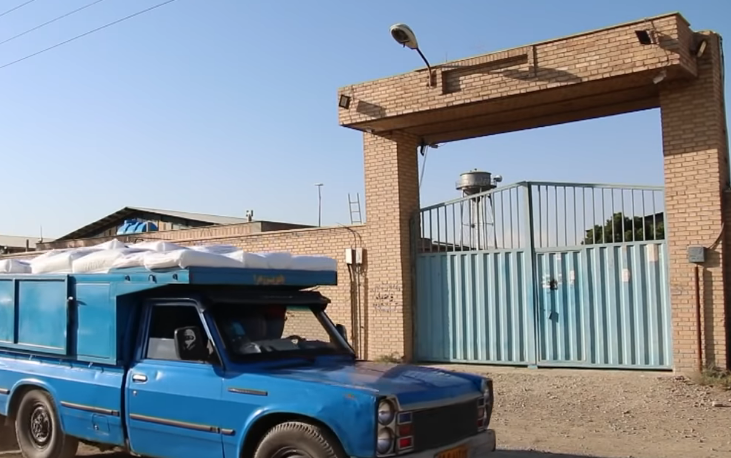 From time to time, we make a small part of all that public, like the daring Mossad raid in the heart of Tehran and the removal of their nuclear archive to Israel. It was an incredible achievement. Missions like these are carried out almost every week. Gantz reiterated that he would not serve with Netanyahu in a government, citing his indictments pending a hearing that Gantz believe will soon force Netanyahu out of politics. Two weeks after US President Donald Trump recognized Israeli control over the Golan Heights and a day after Russian President Vladimir Putin helped bring home missing-in-action soldier Zachary Baumel, Blue and White leader Benny Gantz said he hoped Trump and Putin were not purposely aiding Prime Minister Benjamin Netanyahu’s campaign. Gantz said that when it came to the US, “Netanyahu did the wrong thing by choosing sides,” preferring the Republicans and the Orthodox Jews. Asked why he did not want to first gain political experience as a minister under Netanyahu, Gantz said he was ready to run the country after serving as chief of staff of the IDF and bashed Netanyahu for working for a furniture company in the US before entering politics. Gantz confirmed a report that Netanyahu had offered him in the past to become defense minister or ambassador to the US but he decided to enter politics on his own instead. He said his goal was for Blue and White to become the biggest party and be appointed by President Reuven Rivlin to form the next government. His preferred top coalition partner is the Likud, post-Netanyahu. When building a coalition, Gantz said he would differentiate between Otzma Yehudit in the Union of Right-Wing Parties, which he would not let join, and Zehut, even though he disagreed with some of chairman Moshe Feiglin’s views. 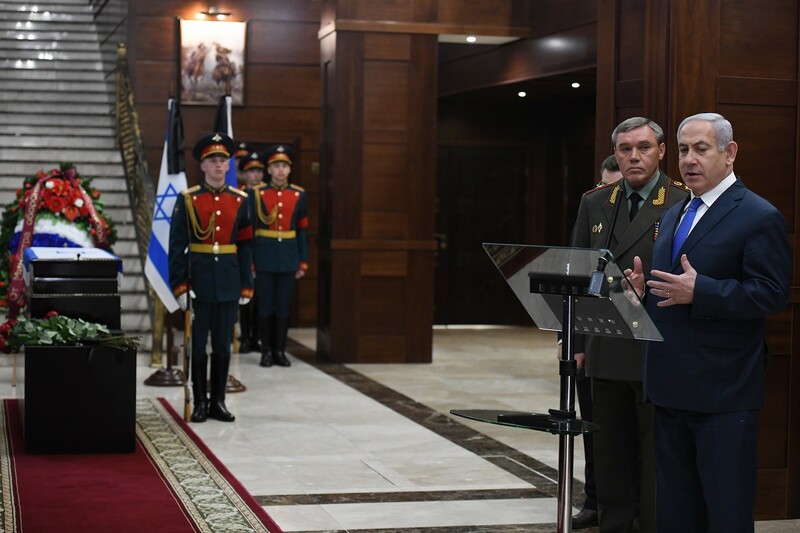 Among Gantz’s first steps as prime minister, he said, would be to restore deterrence against Hamas in the Gaza Strip. He said he would not give Hamas “protection money” but instead work with international organizations while ensuring oversight. Asked what happens when the sick and elderly Palestinian Authority leader Mahmoud Abbas dies, Gantz said he would work with his replacement. Gantz revealed that when he was a defense attache in Washington, he rode motorcycles all over the US. The Beresheet spacecraft executed a perfectly choreographed space hop on Thursday evening, allowing the car-sized spacecraft to jump from an orbit around Earth to one around the moon. The maneuver makes Israel the seventh country in the world to bring a spacecraft into lunar orbit, placing it on track to attempt a landing on the moon next month. The spacecraft is aiming to have Israel become the fourth country to land a spacecraft on the moon on April 11. Up until now, engineers have on several occasions activated the engines in short bursts of about a minute or two in order to nudge the spacecraft into increasingly larger elliptical orbits of the Earth. In order for the spacecraft to successfully enter into an orbit around the moon, Beresheet needed to slow down from 8,500 kilometers per second to 7,500 kilometers per second. Although that still seems fast to mere humans, according to engineers, it is the orbital equivalent of slamming on the brakes. The engineers accomplished this by turning the spacecraft so that its engines thrust it in the opposite direction, slowing down the speed. On Thursday, engineers said they believed that the moon’s gravity had successfully captured the spacecraft, though it would take a few hours for them to be sure that the craft is heading in the right direction. 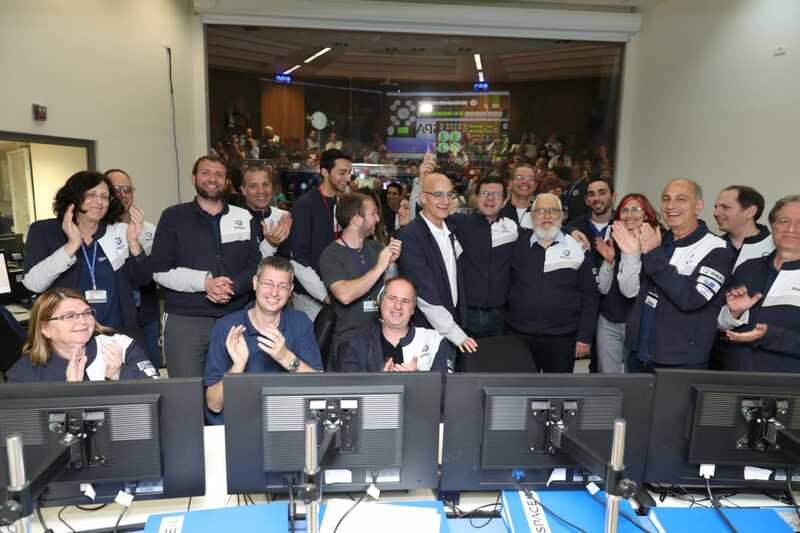 About 25 engineers at the control room in Yehud, a suburb of Tel Aviv where Israel Aerospace Industries is housed, burst into applause at the end of the planned maneuver. Amusingly, though the engineers successfully executed the spacecraft’s maneuver, the press team had difficulty pulling off the powerpoint presentation explaining next week’s lunar landing for journalists, and were forced to abandon the effort midway, turning the presentation off. Engines have so far been fired seven times to widen the elliptical orbits. Beresheet has made 12.5 trips around the Earth since launching on February 22. The lunar orbits are much smaller, and some will take no longer than 14 hours. In the coming week, the spacecraft will make smaller and smaller circles around the moon until it reaches an altitude of around 15 kilometers above the surface. The landing gear will then engage to hopefully bring the spacecraft to rest in the Sea of Serenity. Last month, Beresheet sent back a photo taken with its “selfie camera,” in which the Israeli flag can be seen 37,600 kilometers (23,000 miles) above Earth. If Beresheet successfully lands on April 11, the spacecraft is expected to carry out two or three days of experiments collecting data about the moon’s magnetic fields before shutting down. There it will stay, possibly for eternity, on the moon’s surface, joining approximately 181,000 kilograms (400,000 pounds at Earth weight) of manmade debris strewn across the moon’s surface.